The flag of People Republic of China was adopted in 1949, when Mao Zedong founded the Republic. 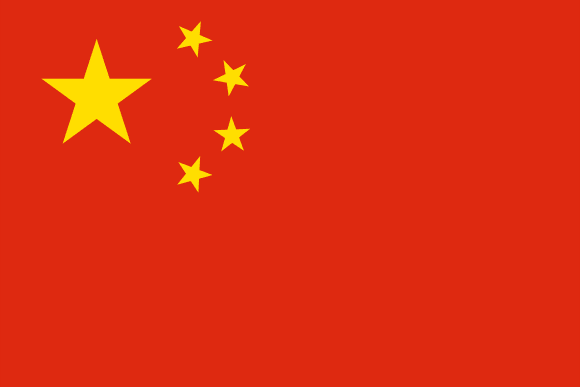 The dominant color of the flag is red, which is Chinese traditional color and also is characteristic of communism and revolutionary moods. In the left part of the flag, we can find one large and four small stars, whose symbolism can be interpreted in many different ways. One theory says that the large star represents the Communist Party and the small stars stand for four social classes in China - workers, farmers, entrepreneurs, and capitalists. Another explanation agrees on the big star, but insists that the small stars symbolize the four smaller parties that were allowed in China. According to others, the stars may symbolize the five largest ethnic groups in the country.